“Because there is one thing stronger than magic: Sisterhood." 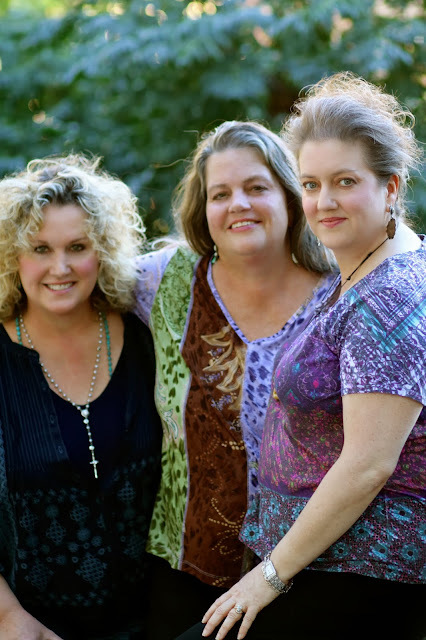 The Salvation Sisters: Michelle, Juliette and Linda (left to right) in Bisbee, Arizona. We sisters gathered this past September in Arizona for our annual Sistercation. Last fall, Juliette and Michelle traveled to see me in Sonoma county, so this year it was my turn to hop on a plane since not only are my sisters there, but my mother, nephew and nieces as well. Admittedly, September is not the ideal time to visit the desert because it is still pretty hot (especially for this non-acclimated NorCal girl), but it seemed the only suitable time given that we all have work commitments that are just not that flexible. Thus I prepared to brave the heat, and I hoped for the best. Michelle who lives in Tucson with her family, picked Mark and I up at the airport with her husband Jay. 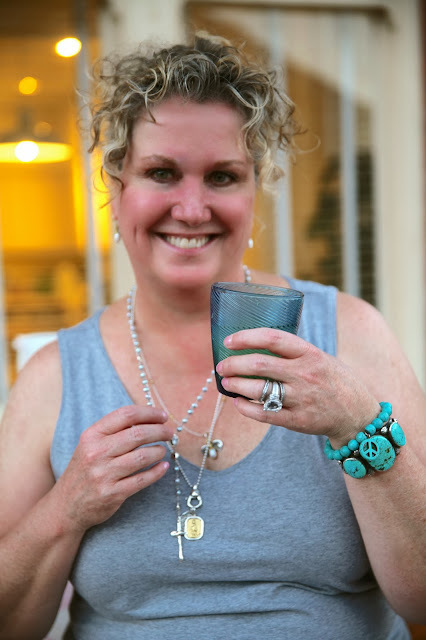 We went directly (after a long day of hanging around the airport waiting for the mechanical trouble of our airplane to be repaired) to have a "Muy Grande" margarita and Mexican food at Mosaic, a small restaurant that Michelle and her family frequent. I am ashamed to admit that I neglected to get a photo of a woman flipping the largest flour tortillas that I have ever seen on a hot comal. It looked to us like she was tossing blankets in the air they were so big. I was mesmerized and kept insisting that Michelle turn around to look at her, at which point Michelle finally became exasperated and told me to shut up, relax and allow her to drink her margarita. Sistercation had begun. Friday was spent with our Mom while Michelle finished up a day of work. 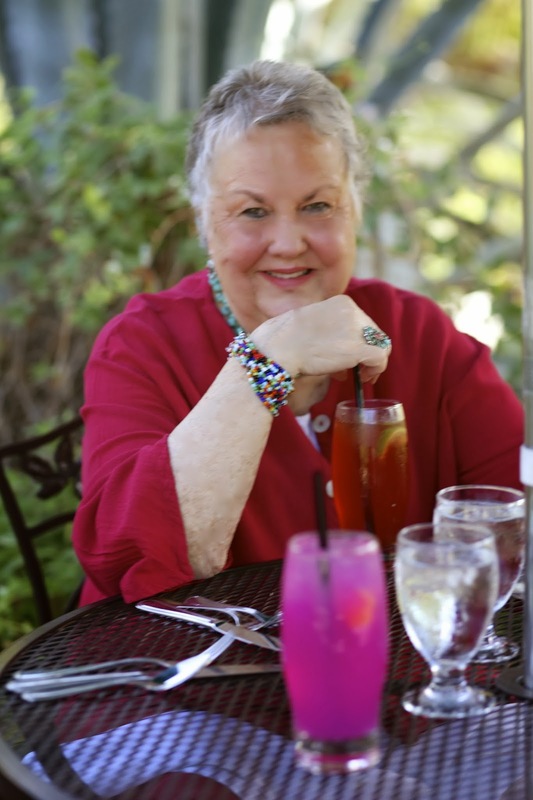 Mom treated Mark and I to lunch at Tohono Chul Park, one of our favorite spots to eat and to check out the beautiful gardens. It was great to have a leisurely lunch in the shade. The nearby fountain burbled, and I was able to watch butterflies and birds cavort in all of the lush plantings that surround the courtyard. We chose salads for our lunch entreés, and Mark's prickly pear lemonade inspired me to purchase locally made prickly pear syrup in the gift shop. To see Michelle's stunning photos of Tohono Chul and the once per year night-bloom of the famous Night Queen that grows there click here. Our lovely mother Dianne... aka Dede. Our salads were delicious and we all loved the Prickly Pear Lemonade. On Sunday morning with the back of Michelle's Toyota 4Runner stuffed with luggage we set out to join up with Juliette in the historic town of Bisbee. 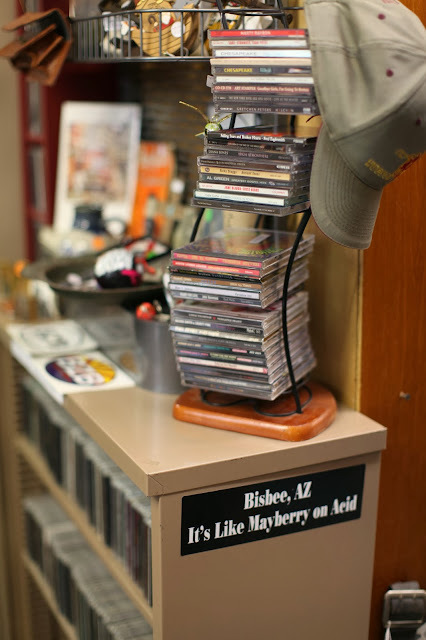 Having lived in Bisbee myself in the late 90s, I was excited about visiting again since it had been about eight years since my last visit. The vista from the High Road overlooking Bisbee at sunset with the moon just beginning to rise. 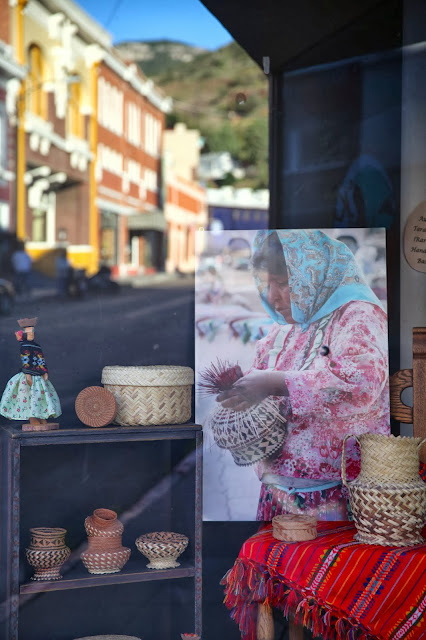 Juliette owns the Guadalupe Baking Company in Bisbee where she produces artisan sourdough for her community in which she has lived for over 20 years. Juliette arranged for us to stay at the Gym Club Suites which is an historic landmark and just a few steps from her bread kitchen. Michelle and I started making our own sourdough breads from Juliette's starter a year ago, and we were both looking forward to seeing the pro in action, since we both have had enough bread baking experience on our own at this juncture, that seeing bread made by the master would be of great benefit. Michelle has become an accomplished bread baker in her own right, and won a blue ribbon for her Guava-Coconut-Orange Sourdough baguette at the Pima County Fair this past year. One of our days in Bisbee would be spent joining Juliette in the kitchen at dawn to do a double bake of her bread which is gaining new fans on a daily basis. Our apartment at the Gym Club Suites had an enormous deck that we put to good use. We loved our spacious apartment at the Gym Club Suites. This apartment has the use of an amazing deck that overlooks "B" Mountain, the old Presbyterian church and the Copper Queen Hotel. It also has long views into Brewery Gulch and vistas toward the highway and out into the valley. 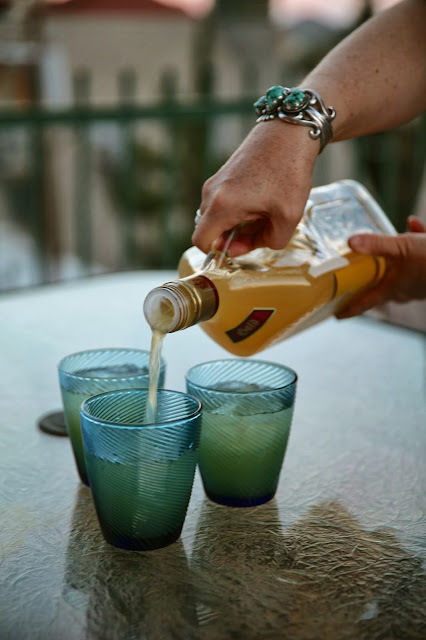 We spent several warm desert evenings drinking margaritas, talking and laughing out on the enormous deck. tequila bottle to transport them. I enjoy Margarita time in the warm desert air. Check out our recipe by clicking here. We all had a welcome visit with Juliette's son Paul who I had not seen in many years. Paul is now a dad and was accompanied by his girlfriend Ericka and his two sons Devin and Parker that I had yet to meet. It was Parker's birthday weekend, and to celebrate the event Juliette whipped up not one, but two cakes. 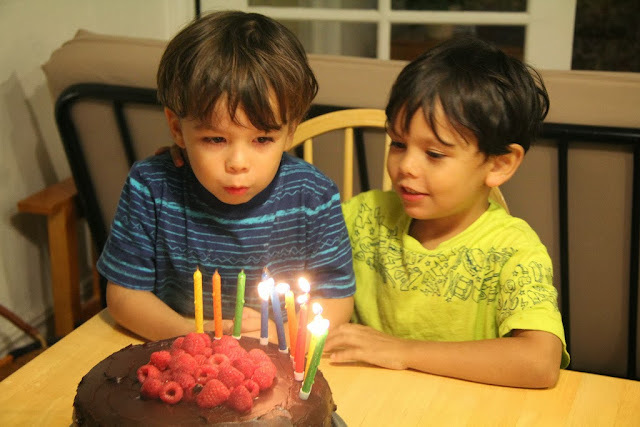 Juliette's favorite party cake is a rich Chocolate Guinness Cake that she often makes for special occasions. Her catering clients love it. However, with both Michelle and I being gluten-free, she made a truly delicious Chocolate-Prune Cake that she served with vanilla ice cream and then drizzled with a salted caramel sauce. It was heaven! Parker was over the moon with homemade pizza and multiple chocolate cakes made by his grandma "Juju". Parker's daddy lights the birthday candles. Older brother Devin gives Parker his big brother coaching and support. 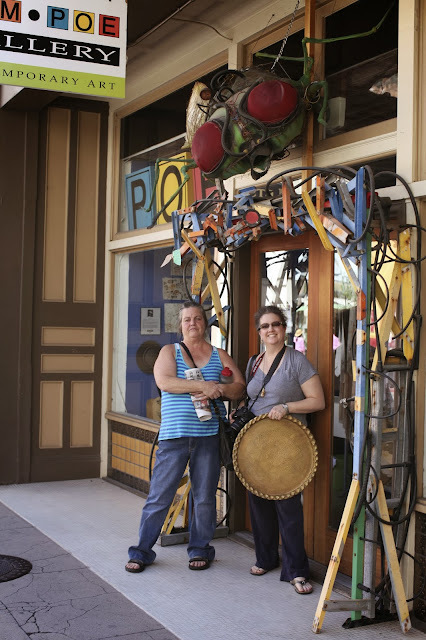 We will be returning with tales of our Tucson/Bisbee adventure. There is so much good food that we would like to share in the upcoming months. Michelle cooked for weeks in advance making things like her rich demi-glacé with which she made us an updated but classic presentation of Steak Diane and a Beef Bourguignon that would have made Julia Child proud. Pasta Bolognese was also on the Sistercation menu, and I also enjoyed tasting my first Sonoran hot dog which was wrapped and grilled with Hatch chiles and bacon. To complete the deliciousness, the dog was served on a homemade bun and topped with all the Southwestern fixings, including Michelle's Pinto Bean Chili con Carne. While in Bisbee, Juliette made her famous pizza , her rich Sopa de Albondigas, and homemade refried beans served with creamy chicken enchiladas. But for this week's post, we will end by sharing Juliette's delectable Chocolate-Prune Cake that she topped with rich ganache, vanilla ice cream and a buttery salted caramel sauce. Your guests will swoon over the delicious decadence of it all, and will never guess that it is gluten-free unless you choose to tell them. A popular bumper sticker in Acacia where Juliette sells vintage clothes and collectibles. entrance... well, at least Michelle appears to. rise over the back of "B" Mountain. A shop window with reflection of the downtown shops behind me. that Juliette made me a gift of it. She found it during one of her thrifting excursions for three dollars. Back when we were just girls, our parents decided that the key to improving my health (I was having frequent bouts of tonsillitis) just might lie in changing our diet. Dad and Mom began buying whole wheat flour, unsalted and non-homogenized peanut butter, bulk grains and other "health foods" at Loma Linda Market near Loma Linda University, which has now been in business for over 60 years. One of the treats that our parents would buy when they shopped there was a dark chocolate cake made with prunes that we all loved. It still mystifies me that many people turn their noses up at prunes. Prunes are simply dried plums. Fresh plums are delish and nearly everyone loves them... so why not prunes? Juliette had the idea to recreate this cake from our childhood and started researching recipes. She ended up making this cake from a recipe published by one of our very favorite bloggers, David Lebovitz. Please check out the recipe for the cake on David's blog by clicking here. David doesn't mention that the cake is gluten-free, but it is GF if you do not use wheat flour to prepare your pan. Dust your pan with cocoa powder instead, which David also recommends. Juliette decided to top the cake with chocolate ganache, because the cake from our childhood had rich chocolate frosting. She used her own recipe for the caramel sauce which she thought would be a great new addition to our old favorite after seeing that David topped his cake with it. This caramel sauce was so good that we added it to our Café Au Laits the next morning. It is super yummy! This recipe makes about 2 cups. 1. Make sure that you have all of the ingredients ready. Once you start the caramel sauce you have to pay close attention so that you do not burn it. To begin, heat the sugar over medium high-heat in the bottom of a heavy 2-3 quart saucepan. When the sugar starts to melt, start whisking the sugar. The sugar will slump up, but keep whisking. It will continue to melt. When the sugar is melted, stop whisking. You can swirl the pan to move the sugar around. 2. Continue cooking the sugar until it reaches a deep amber color. Make sure you watch the pan very closely. This is where it is easy to burn the caramel. You want the caramel to reach 350°F. It is a good idea to use a candy thermometer. 3. As soon as the sugar reaches the dark amber color, carefully add the butter. Whisk until the butter is melted. If the sugar gets stuck to the whisk, you can switch to a wooden spoon. 4. Remove the pan from the heat and slowly pour in the heavy cream. Whisk until the cream is incorporated and the caramel is smooth. Whisk in the fleur de del or Maldon sea salt flakes. 5. Let the caramel sauce cool for about 10 minutes in the pan. 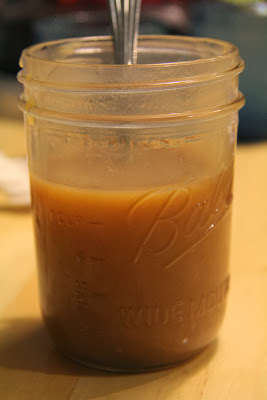 Pour the caramel into a large jar or several smaller jars and then cool to room temperature, then refrigerate. It will last for a least a month in the refrigerator. Ganache sounds fancy, but is one of the most simple pastry components to make. Juliette's instructions follow. 1. If you are using chocolate bars you will need to roughly chop. 2. Bring cream to a boil in a heavy sauce pan. Remove from heat, add the chocolate and let stand for 5 minutes. Whisk until smooth (I do this by hand, but it can also be done in a mixer on the lowest speed). Refrigerate until firm, about 3 hours. I sometimes use it warm if I want a thin smooth layer of ganache over a cake. In that case, put your cake on a cooling rack, and pour the ganache slowly over the top of the cake and let it drip down the sides. This will make about twice as much as you will need to ice a cake, and I like to keep it on hand for dipping fruit in, spreading on toast with peanut butter, or just the occasional spoon full (insert smiley face). Use a premium ice cream, and if you have time to make your own vanilla ice cream in advance, click here for our recipe. Homemade ice cream is always the best, and so much less expensive to make than to purchase. Frost the cooled cake with the chocolate ganache. Allow to set for at least one hour. Cut the cake into slices, top each with a scoop of vanilla ice cream and then drizzle with the caramel sauce. This is a dessert that memories of made of. Aloha my BEAUTIFUL cousins. I so enjoyed this entry to your blog. I'm still hoping that you can come and visit me, on the island of Kaua`i, when the time comes for another Sistercation. Loved all the photo's, and especially seeing your Mama.